After London's street food which just finds you on your way the second huge discovery for me were London's gastronomy markets. They are so pleasant to walk around, full of local farmer's products as well as of lovely artisan products from other countries. To add to that, they are also packed with delicious street food and casual eateries. Just one thing to remember - markets are open on market days only, so do check the opening times on their websites before going. Borough market I visited first and had instant association with La Boqueria market in Barcelona. It is same full of amazing looking traditional food and passionate sellers and buyers. Meat pies are ready to be reheated for you. Locally grown veggies and fruits are sparkling with freshness. Depending on your interests you can get great fish, meat, artisan bread, different kinds of pâté. It is very much worth visiting Neil's Yard Dairy shop for great british cheeses (they also offer guided tastings). When I was at Borough, there was a demonstration kitchen functioning at Jubilee part of the market. 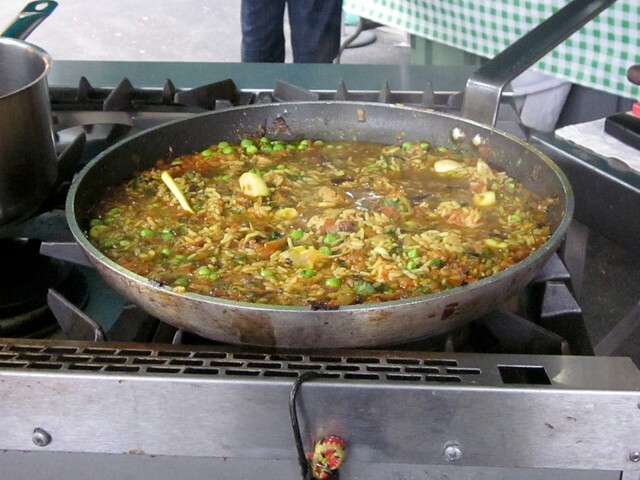 The chef was making Jambalaya from ingredients sold in the market, friendly chatting and giving out printed recipes. It is worth checking out the upcoming events before you go. Jubilee part of the market is very rich for street food. 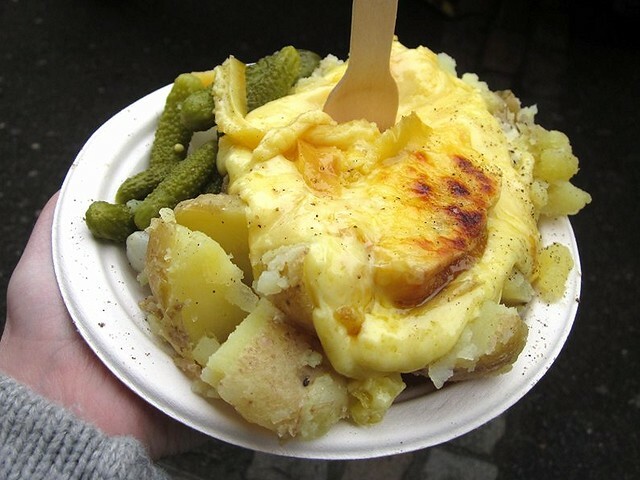 I was especially fascinated by Kappacassein stand, which is making a kind of raclette and serves it on extremely tasty boiled potatoes. Chinatown is a place to go if you are looking for South East Asian food or something from an Asian store. Gerard street is the main one and it makes sense to start from it. 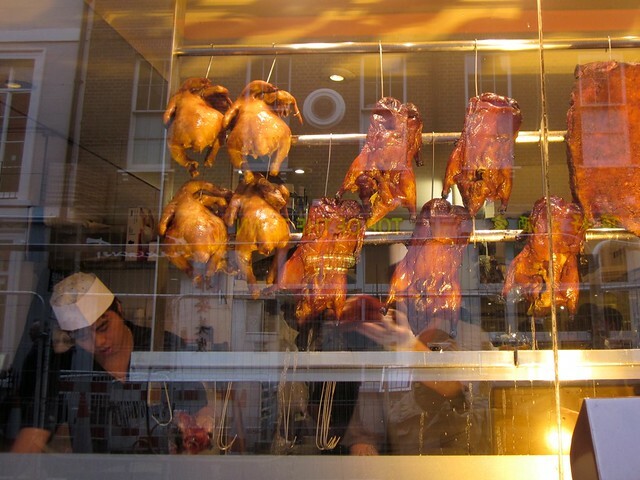 My Chinese friend now based in London took me to Four Seasons Chinese restaurant saying that it serves the best Cantonese roast duck he ever had (including in China). I've no expertise to judge, I can just say the duck was really good. When I'm back to London Chinatown, I'd love to visit C&R malaysian cafe to try their laksa and noodles I missed while in Singapore: hokkien mee and char kway teow. My other friend, who is into Malaysian food suggested the place to me. 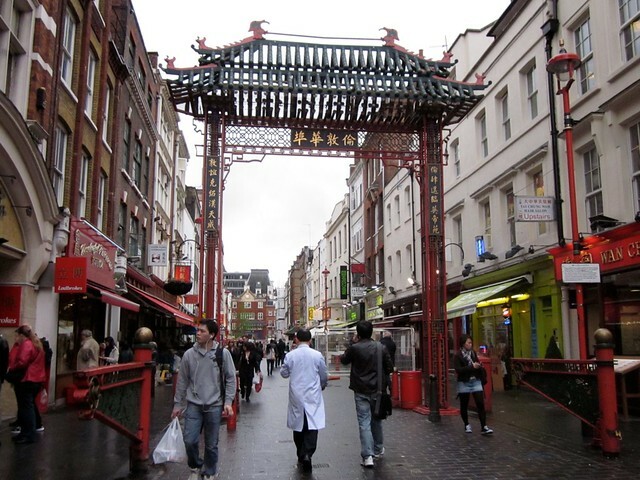 Berwick street market is in the middle of Soho quarter, which is the focal point when it comes to street food in London. 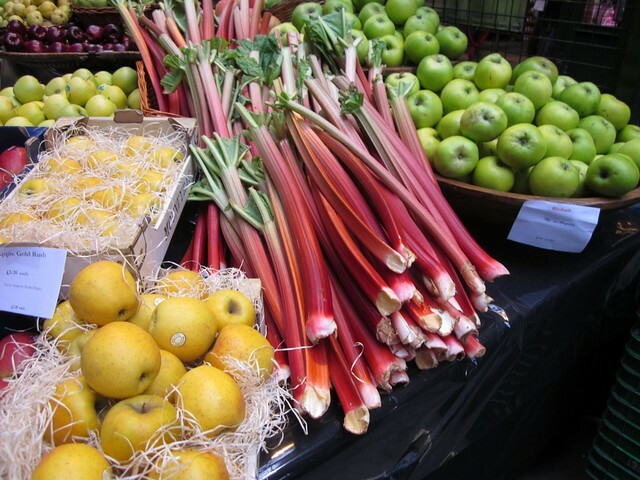 The best time to visit the Berwick street market is week day lunch time. You will find fresh baguette, brownies, stalls offering moroccan, mediterranean and mexican or even wild boar sandwich if you are in the mood for adventure. My favorite Beatroot cafe is also located right there in the middle of the market. 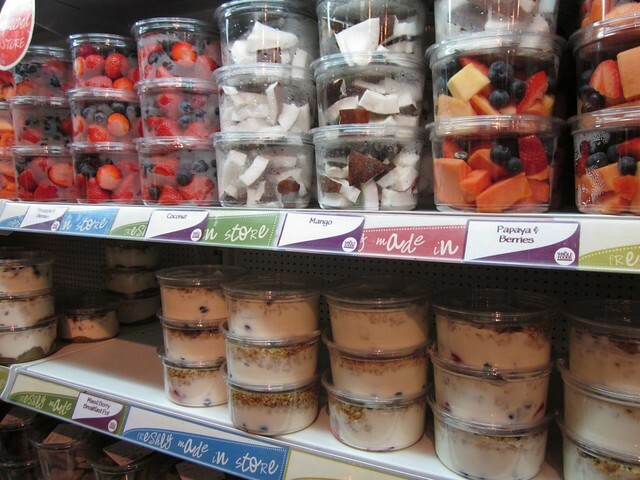 Whole foods market is a supermarket, which offers an amazing range of delicious healthy food. I visited the one in Soho and liked it a lot, but I heard that the one in Kensington is even better. The range of packaged food covers everything from ordinary (like soya milk or cereal bread) to less ordinary (like organic brownie, which is raw, vegan and gluten free). Whole foods also offers lots of amazing very fresh ready made food options for all confessions (vegetarian, vegan, gluten free etc.) e.g. vegan breakfast granola with yogurt and fresh fruits, brown rice avocado cucumber rolls, different kinds of Indian dhal, falafel+hummus+tabouleh lunch box or vegan cupcakes. See more pictures of my visit to Whole foods. Harrod's is the most famous London upscale department store and its gastronomy floor is more than impressing. They carry lots of private label traditional products and make amazing range of freshly prepared ready to eat food and pastry from all over the world. It is easy to get lost and hard to stop somewhere. I got some aged Cheddar cheese, orange marmalade and English mustard to bring back home and all of these tasted great. Апельсиновый мармелад очень вкусный, хотя и с нетрадиционной для нас горчинкой.